LDRA processes and products are of high quality – say TÜV and ISO. LDRA products are designed to be used on safety- and security-critical applications. That’s why we have always taken the quality of our products very seriously. 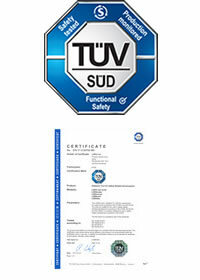 The company’s Quality Management System has been ISO 9001 certified since 1993, and LDRA products were first TÜV approved in 2013. ISO 9001 certification demonstrates LDRA’s ability to consistently meet and exceed customer expectations. For this reason, many buyers require suppliers to be ISO 9001 certified to minimize their risk of purchasing a poor product or service. A business that achieves ISO 9001 certification will be able to attain significant improvements in organizational efficiency and product quality by minimizing waste and errors, and increasing productivity. LDRA have been constantly refining and improving their company procedures in accordance with ISO 9001 for 25 years – and counting. You can view and download LDRA’s ISO 9001 certificate below. Functional safety is concerned with the removing of unreasonable risk to individuals caused by the malfunctioning of electrical or electronic systems. It is regulated in most industries where individuals are in danger if the product fails to keep them safe. Functional safety standards including IEC 61508 (generic safety-related systems), ISO 26262 (automotive), IEC 62304 (medical devices) and EN 50128 (railways) provide a formal way to evaluate hazards, identify the impact of safety system failures, identify the effectiveness of counter measures, and ensure those counter measures are implemented in the end product. 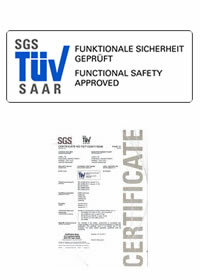 There are several TÜV certifying organizations. Although they each perform very similar and highly professional services, nevertheless there are sometimes subtle differences in approach between them. Securing the approval of LDRA products from two completely independent TÜV certifying organizations leaves no room for doubt from any perspective that best practices have been applied in their development. The most efficient way to comply with these standards is to use test automation tools. However, regulatory authorities require that software tools used to automate, reduce or eliminate processes that contribute to the safety lifecycle must be qualified for their intended use. That implies detailed and thorough testing of those tools, which is a time consuming and costly process. In most cases, the most cost effective approach is therefore to use a tool that is already approved for the applied standard by a TÜV certifying organization. The LDRA tool suite helps you build quality into your software development life-cycle. 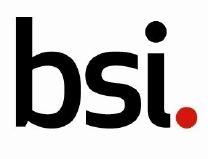 This integrated suite of software standards compliance, requirements traceability, testing, and verification tools are based on industry best practices to help you develop high quality safety- and security-critical products. LDRArules and LDRAlite incorporate next-generation reporting capabilities to show code quality, fault detection, and avoidance measures. You can quickly and easily view results in call graphs, flow graphs, and code review reports in an easy-to-read, intuitive format. LDRAunit tests code units separately before integrating them into modules and then systems to simplify identification of which part of the code might be failing to deliver expected results. This maximises test throughput and repeatability to significantly increase overall test benefit. LDRAcover lets you quickly and easily view coverage analysis results such as callgraphs, flowgraphs, and code coverage reports in an interactive easy-to-use interface with powerful filtering capabilities.